Happy Epilogue Day! This day, September 1, 2017 marks 19 years since the Golden Trio defeated Voldemort, went on with their lives, got old and fat and happy and had children of their own with terrible names who they took to Hogwarts. Today, Harry Potter fans across the country celebrate the happy little ending JK Rowling wrote at the end of the last book in the Harry Potter series. Nineteen years prior to the epilogue we celebrate today, the Wizarding World was a different, dark place. Harry Potter and the Hogwarts crew were going through a time very similar to what we’re going through as a nation right now, with a strange looking evil man using power, intimidation and a clan of mindless, violent followers to disenfranchise the vulnerable and change the dynamics of our country. As I look back over the last 20 years of Harry Potter, I’m wondering if Joanne knew how her beloved childhood books would provide clues as to how we can defeat the evil in the real world. I was rereading the first books and found myself thinking “Hm, does Professor Quirrell remind anyone else of the ‘alt-right?’” No? Just me? Okay then, let me explain. On the surface, Professor Quirrell seemed pretty normal. Unassuming, downright forgettable. But he had another side. An evil, power hungry, prejudice side, that he kept hidden until the right moment when he had nothing to lose. Like Quirrell, white America has two faces. We saw the evil ugly side pop up occasionally when neo-Nazis marched on Charlottesville. And we see it when people cry All Lives or Blue Lives Matter after an innocent Black person is killed by law enforcement. 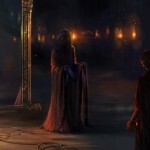 Quirrell said it himself, who would suspect him? The shy, harmless guy who just stuck to the rules and did his job without incident (unless you count the troll)? But it’s exactly the Quirrells and white guys in khakis with tiki torches who we need to look out for, walking among us like normal when all the while, there’s unspeakable evil and prejudice in the back of their minds. Professor Quirrell is a fictional character in a fictional series but the reality is many of our white and non-Black family, friends and coworkers are walking around with two faces. A lot of them show their true colors on Facebook posts. A bunch of them showed their true colors after this election. Some of them showed their true colors in Charlottesville and other “alt-right” rallies throughout the country. All of them are more emboldened by a Dark orange Lord of Twitter. Quirrell and eventually Pettigrew, Barty Crouch Jr., and other seemingly “good guys” became who they were because they were weak and allowed hate to take over. Now is the time to be strong. And I already know someone is reading this and immediately thinking “Not every white person is a Professor Quirrell in sheep’s clothing and that this is not the Hogwarts–I mean, America–they know.” And I know that, too. Just because a few people want to carry on the racism and cruel legacy of the Confederacy doesn’t mean all white people do. In the same way, just because one of the professors was out in the woods murdering unicorns and plotting for the death of all Muggle-borns doesn’t mean they all were. 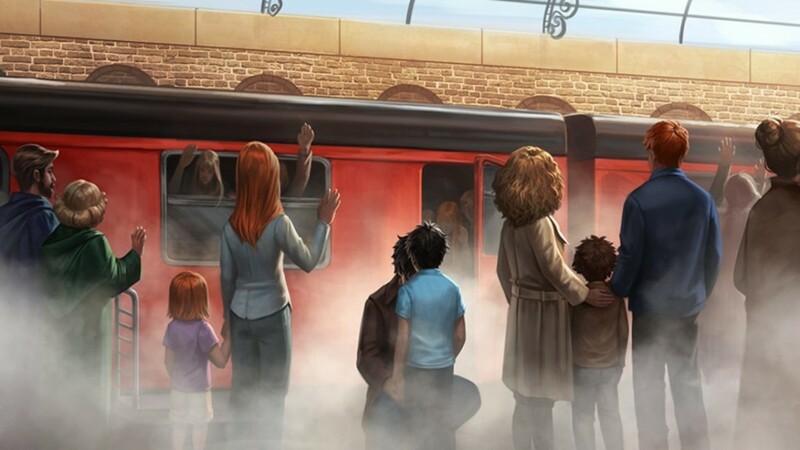 In fact, all most all of the other teachers throughout the books put forth considerable effort to protect Harry, the stone and all of the vulnerable people. Because that’s what you do when you’re in a position of power. White Americans and whites people around the world are also in unique positions to be allies for people with less power and privilege than they have. They must recognize that it’s as much their responsibility as it is the responsibility of marginalized people to make the world a better, more just place. I mean, you didn’t see Professor McGonagall out at the Battle of Hogwarts with a #ThisIsNotUs or #NotAllWizards sign. No, she was on the front lines doing the fighting for what’s right like the badass she is. If you don’t want to be associated with the Death Eaters of the world, do everything you can to disassociate. I hated Ron. I truly did. He was annoying and petty and insecure. But he was loyal to Harry and did what he had to do to keep Harry alive. He supported Harry even when he didn’t understand what was happening to him. Even when he couldn’t relate to whatever scar-burning nonsense Harry was going through, Ron always believed him, defended him and stood by his side. Allies can take a lesson from Ron and do the same for the marginalized groups they support. Believing us when we say Black Lives Matter, defending trans people who are fighting for the right to use the bathroom, standing up for a woman being harassed on the street. Often, being an ally will mean checking the people you love when they mean to harm someone you’ve decided to be loyal to. Ron did this in book five when he shut down Seamus for trying to come for Harry. Neville did it in book one when he stood up to the Golden Trio to preserve the standing of Gryffindor. As Dumbledore tells us toward the end of the first book, “It takes a great deal of courage to stand up to your enemies, and far more to stand up to your friends.” Who among your friends and family needs to be checked? I always felt like Dudley Dursley was the embodiment of privilege and supremacy. He controlled everything in his life, whether or not it was his to control. Any attempt to treat Harry equally (even just barely, like giving Harry Dudley’s junky and abandoned second bedroom), Dudley viewed as oppression and as stripping away his own autonomy and happiness. A lot of Americans view attempts at equality the same way. We can see this when they scream “All Lives Matter” at Black Lives Matter protests. Or when they push through restrictive laws and bills when a trans person simply wants to serve their country. #Resist is a new hashtag and a movement following the inauguration of Donald Trump. And while the effort may seem small, throughout the books we see how small revolutions end up making big waves in the Wizarding World. When Hogwarts was taken over by an evil dictator protege of Voldemort, Dolores Umbridge, Harry, Ron, Hermione and their classmates banded together to educate themselves and fight back against her oppressive policies. Even though it was just a small, secret school group, they retained the lessons they learned in resistance and when the real Battle of Hogwarts began, they banded together on the right side. Even small steps to learn more about history, each other and ourselves helps arm us for the long fight down the road against systems we may need to dismantle to reach equality. I know Harry Potter is just a fictional book series. There are no wands and spells in the real world that we can actually use to defeat our version of the Death Eaters and try to start over in peace and understanding. But the reason Harry Potter is so great and will continue to be essential reading is because the series gives hope of what a future and humanity can look like when we get rid of people and policies that would harm us and put forth an effort toward equality.